On Saturday, December 15th at 5:30pm Stambaugh Auditorium will host a Christmas Madrigal Dinner and Show performed by Tapestries of Ohio. Tickets are available now through the Florence and Ward Beecher Box Office at Stambaugh Auditorium. Dinner will be served in the Anne K. Christman Hall, featuring pork tenderloin in sweet apricot glaze, carved turkey breast with savory stuffing, roasted butternut squash and broccoli spears. Beverages will be provided; a cash bar will be available. Characters will sing the songs and tell the story of the first Christmas. 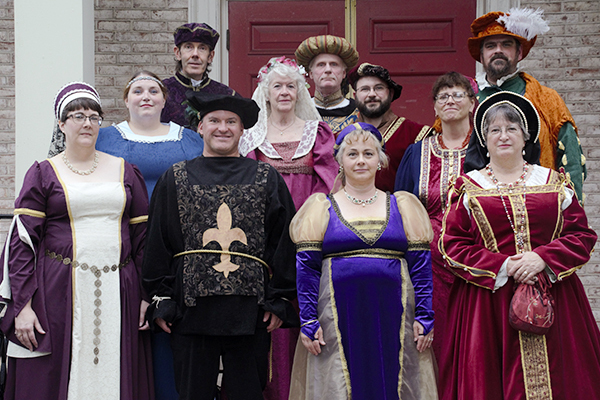 Period songs from the 15th through 17th centuries, costumes, and an authentic dining experience recreate the mood of a Madrigal celebration. Tapestries of Ohio, Inc. is a non profit, self sustaining organization dedicated to providing educational and entertaining activities in Trumbull County and the Mahoning Valley. Members of Tapestries volunteer their time and talents throughout the year to ensure the highest quality performances possible during our Madrigal dinners. Tapestries of Ohio, Inc., is an associate of the Fine Arts Council of Trumbull County. For more information tapestriesofohio.net. For tickets, call 330-259-0555, go to stambaughauditorium.com, or visit the Florence and Ward Beecher Box Office at Stambaugh Auditorium in person. The box office is open Monday through Friday, 9:00am-6:00pm.